Goal: Setup a WanLink with WanPath Corruptions. 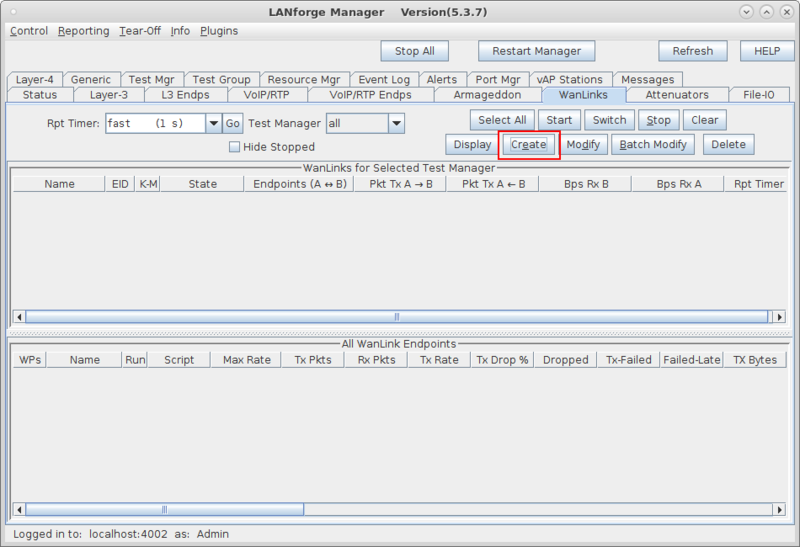 In this test scenario, LANforge-ICE is used to filter traffic by VLAN on a WanLink with the use of WanPaths and then use WanPath Corruptions to overwrite the DSCP field in the IP packet. 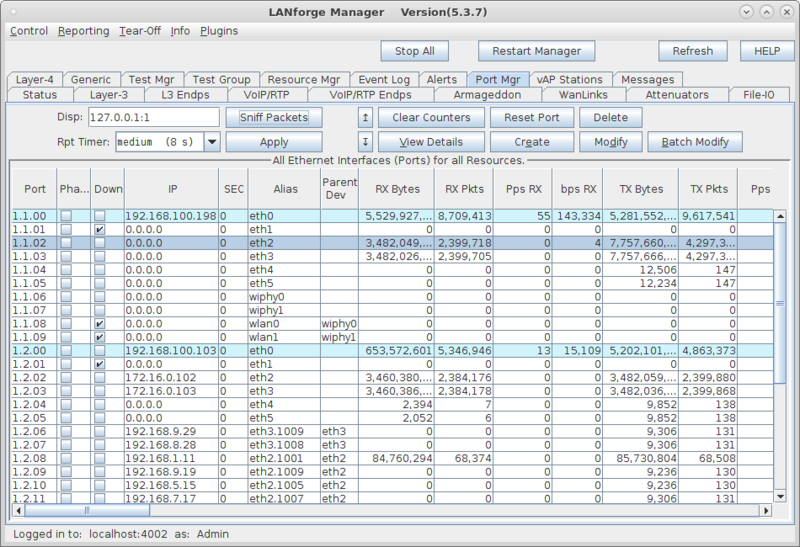 Note: VLAN filtering was recently fixed and should be used with LANforge version 5.3.7 and up. 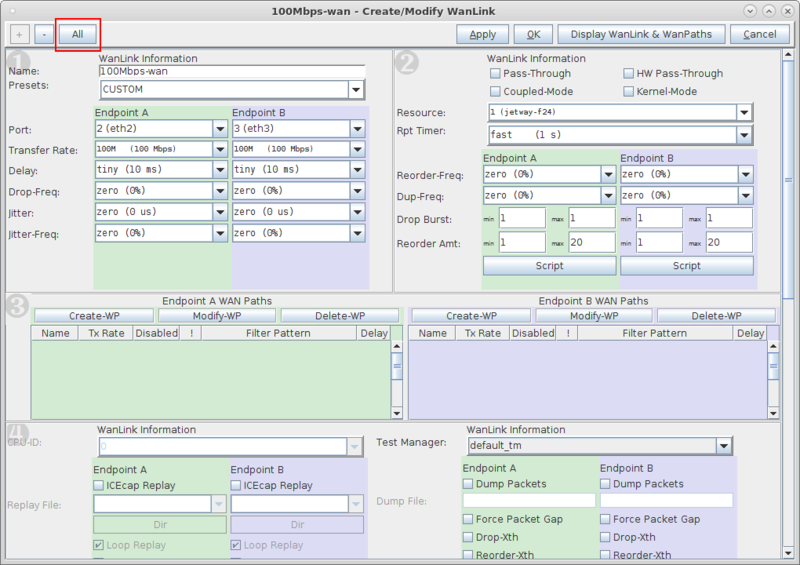 In panel 3, for Endpoint-A WAN Paths, select Create-WP. Enter a Name and Transfer Rate for the WanPath. Here we are matching the WanLink's transfer rate. Expression is based on the tcpdump expression field. 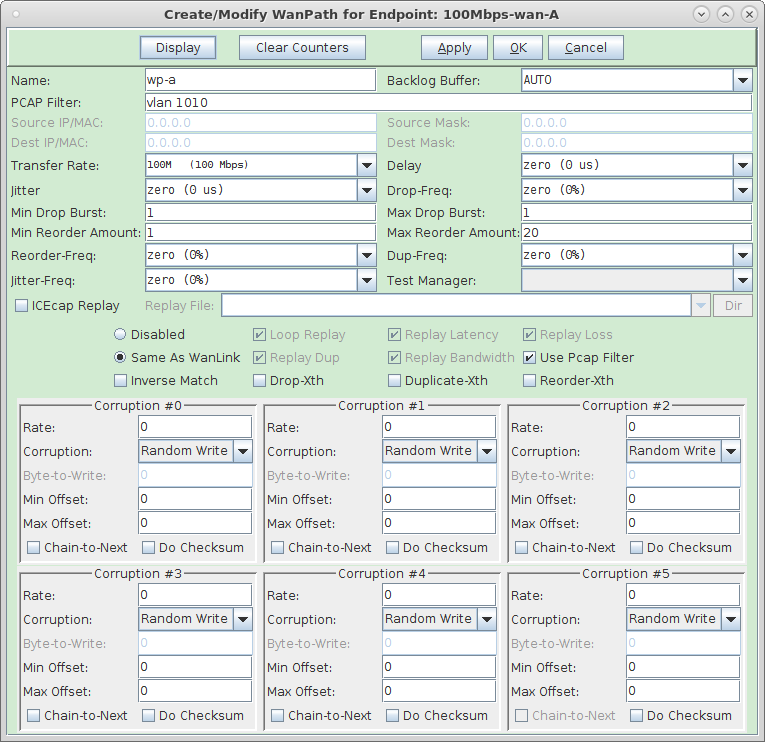 Select Apply to create the WanPath. If you enter 0x28 and select OK, the GUI will translate it to decimal 40. 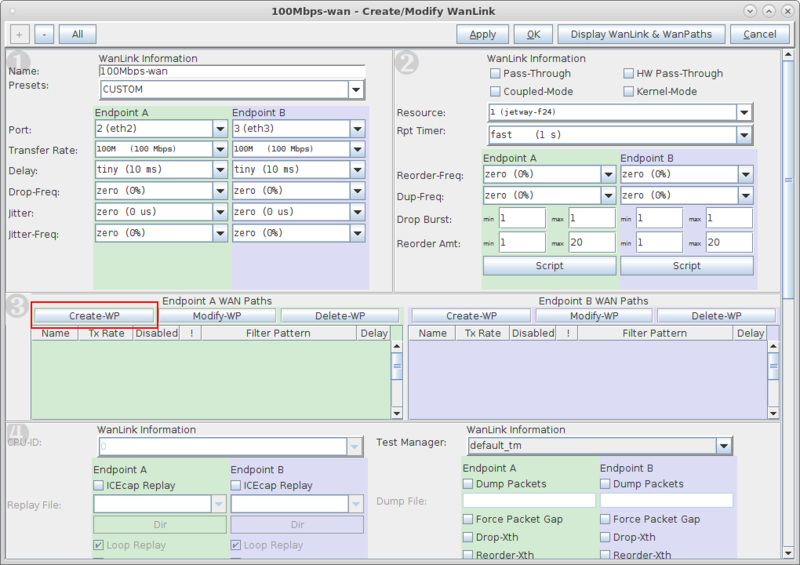 The Differentiated Services Field is in byte 20 of the ethernet frame which corresponds to the 2nd byte of the IP header. Select checkbox Do Checksum which will re-calculate the checksum after making the errors so that the packet is still valid. 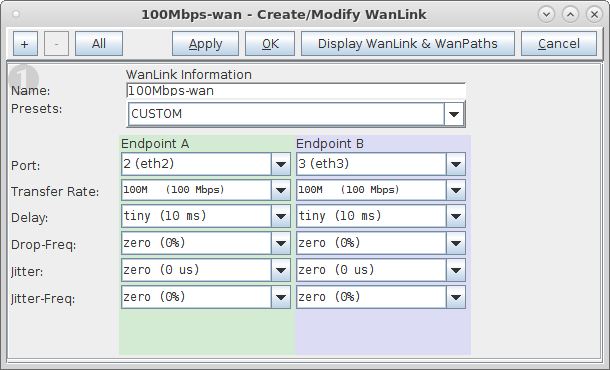 Select OK then create a second WanPath for this WanLink on Endpoint-B using the same values. Run traffic through LANforge-ICE ports eth2 and eth3, and capture traffic on eth2. 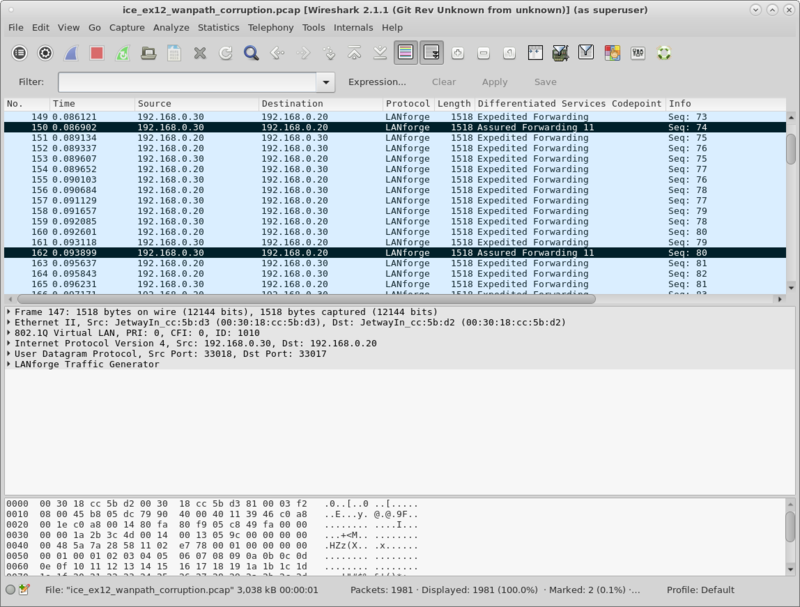 Go to the Port Mgr tab and highlight WanLink port eth2, then select the Sniff Packets button to bring up Wireshark. 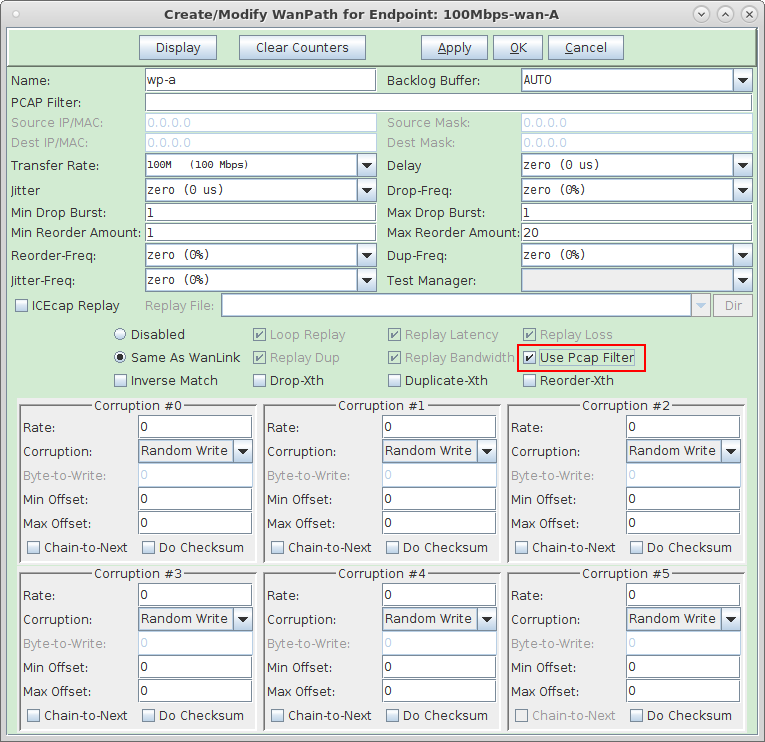 The capture will show that periodically the DSCP field gets overwritten per the WanPath corruption logic of writing a decimal value 40 in the IP ToS field which corresponds to a DSCP value of decimal 10 or Assured Forwarding 11.